If you don’t have a good pair of headphones, consider investing in some before June, and not just because Matthew Morrison (GLEE) is releasing his second solo album. No, the real reason your ears should be excited for this summer is a little game called Beatbuddy, developed by the fine German folks at Threaks. Beatbuddy is a 2-D musical puzzle-platformer set in an underwater environment. Visually speaking, the game is dazzling. On its own, the hand-painted world through which the player (as Beatbuddy) travels is enough to entice, with an aesthetic style that calls to mind Rayman: Legends and Yoshi’s Island. It also helps that Beatbuddy himself is adorable, and the way he dances after standing still for a while is worth stepping away from the controls every now and then. Visuals aside, the game’s crowning achievement is undoubtedly its music. Though not a rhythm-based game like Frequency or Amplitude, Beatbuddy’s audio truly completes the title, and could turn out to be one of the greatest acoustic complements in gaming. Wolf Lang, a member of the seven-person Threaks team, talked me through the most scientific discussion of music I’ve ever encountered, which basically boiled down to this: BeatBuddy’s music system is revolutionary, completely dynamic, and patent-pending. 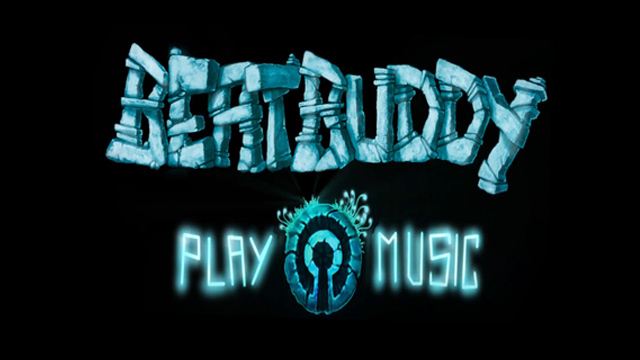 The game’s music is entirely environmental, with various elements emitting different instrument sounds as Beatbuddy floats through and interacts with his world. “We needed to make sure that these songs didn’t get boring throughout a 45-minute level,” Lang said with regard to the active dynamism of the game’s soundtrack. The music, by the way, isn’t made up of GarageBand tracks or anything. The Threaks team has worked extensively with contemporary composers—like Journey’s Austin Wintory, for instance—to create a brand new soundtrack for the game. When the game releases this summer, it will include music from six different composers, with each track featured in its own level. Throughout the demo at PAX East, we saw Beatbuddy navigate a number of puzzles, which required timing, planning, and ingenuity. One of the most impressive musical aspects, though, comes as Beatbuddy is guided between puzzles. As you exit an area, the music fades out exactly as if you were leaving a club or concert, and you’re left for a moment with an almost-empty white noise. Approaching the next area, then, you’re greeted with another lively scene, as the musical marine life plays its interactive tune. I’m not going to lie: Beatbuddy is hard to describe with words, so please take a look at the trailer below for a better idea of what I’m trying to say. It doesn’t include a lot of the visual style, but you’ll get a better sense of the genuinely impressive music. Beatbuddy will be out this summer on Steam for Mac and PC. A demo of the game is available now on Steam.